Home > Blog > Clinic Promotions & Specials > August is Dental Awareness Month! Does your pet need to have their teeth cleaned? 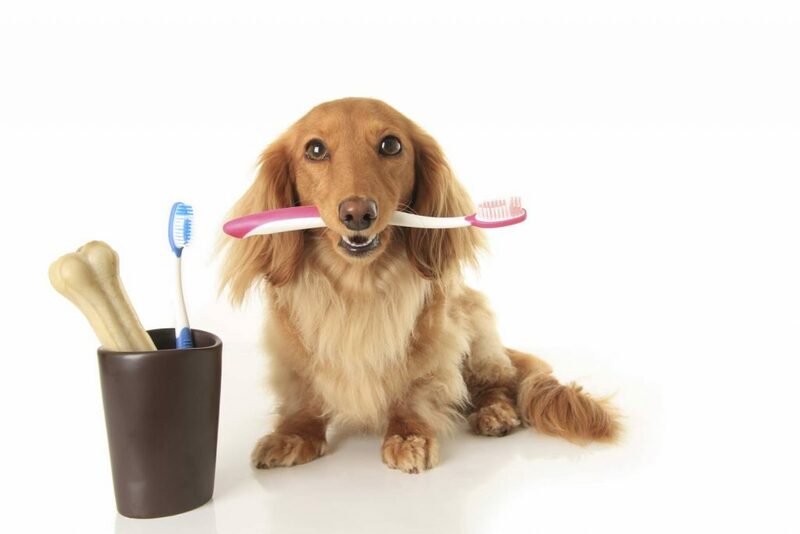 Do you need dental advice for your pet? Periodontal disease is the most common disease seen in dogs and cats. It is more common than any other disease including those of the skin, eyes, ears or heart. According to the Australian and American Veterinary Dental Societies, 80% of dogs and 70% of cats develop gum disease by the age of three. Our pets often won’t show any sign of problems that they may be experiencing until it becomes too painful to hide it anymore. Unhealthy teeth and gums can compromise your pet’s health, and can even affect the heart, liver and, or kidneys. See our Dentistry section for more information. If your pet is showing any of these signs of dental disease it’s time to book in. Early assessment and action can save your pet’s teeth! For the month of August you can book in for a FREE dental check with one of our Veterinary Nurses who can advise you on the best dental care for your pet. We are also offering a scale and polish under general anaesthetic at a discounted rate of $280.